Red Dead Online’s beta launched this week, and fans have finally been able to play Rockstar’s next big online game after the mega-successful GTA Online. The initial impressions have been mostly positive, but one aspect of the game that is under a lot of scrutiny is the in-game economy. Are prices too high? Is it too grindy? Will it be fair for those who prefer not to spend real world cash on in-game microtransactions? 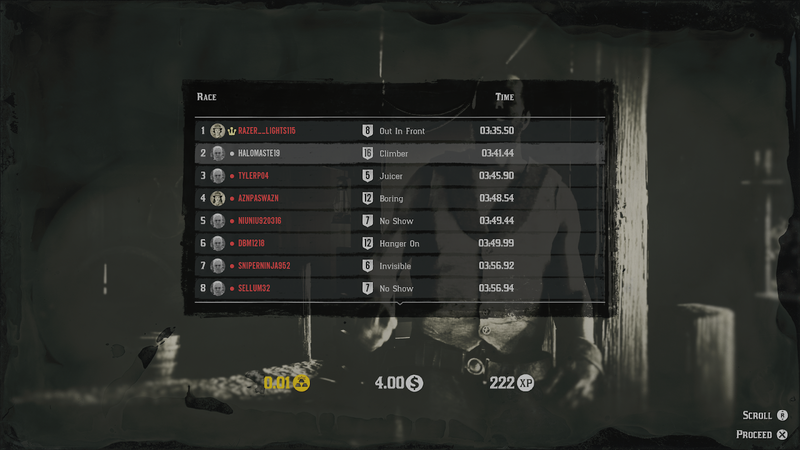 It’s too soon to tell, but so far, the economy of Red Dead Online feels unbalanced. Fans have been worried about microtransactions since before Red Dead Online launched. Some joked about “Wolf Cards,” a reference to the divisive Shark Cards that can be purchased in GTA Online for real money. Some GTA players feel that Shark Cards are the reason GTAO has seen in-game prices on new content skyrocket. These fears aren’t completely without merit: Evidence shows that over the last five years prices have indeed risen on cars and other items in GTA Online. Red Dead Online’s economy is different from GTA Online’s economy in a few key ways. One of the first and most obvious differences is the prices and rewards players receive. Many items in stores cost a few in-game bucks or even less than a dollar, in keeping with the economy of the old West, where a few dollars could go a long way. Many missions and activities payout only three or five dollars. In GTA Online, the payouts and costs are in the thousands and millions. The other major difference is that Red Dead Online includes two currencies. Cash is the easiest to earn and is rewarded when completing missions, playing competitive modes and selling animal pelts or fish. The other currency is gold, which functions more like a premium currency found in games like Rainbow Six Siege. Gold bars are used for various things in RDO. 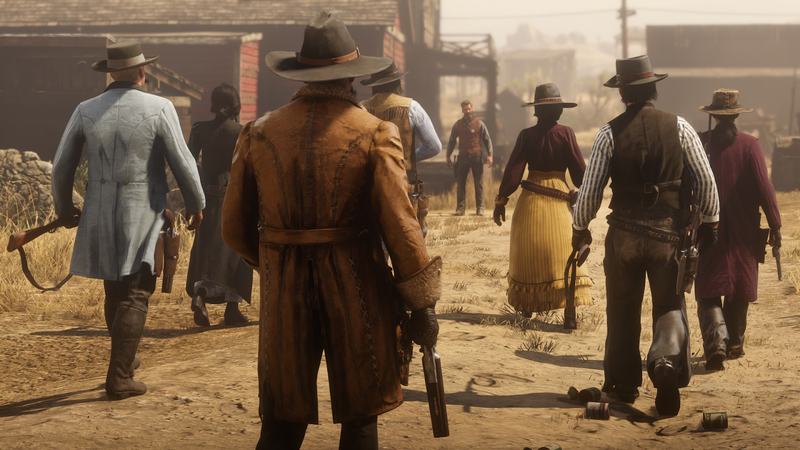 Players can use gold bars to buy special cosmetic items, unlock certain items faster, or even to reset their morality meter, which can be useful for players who want to always be a good cowpoke or a nasty cowpoke. Gold will be purchasable in the future, once Rockstar turns on the in-game store, but we don’t know what the price of gold packs will be or how they will be sold. In the current beta, players can earn gold nuggets by completing missions, finding treasures or playing PvP modes online. Once a player has earned 100 nuggets, they get a bar of gold. Getting gold bars is currently a grind. Reddit user UnavailableIDs calculated that it will take most players about eight hours to earn one gold bar. Some in-game items and weapon modifications can only be bought using these gold bars, and some of them are very expensive. For example, if you want to completely change each metal piece on the starting rifle it will cost 30 gold bars, which currently could take 200+ hours to earn. Another gold-only purchase is horse insurance. While your first horse is insurable without gold, future horses cost five gold bars to insure. Getting insurance on a horse allows it to heal for free and automatically when it dies; otherwise uninsured horses have a small cost and two-minute wait time before they are healed from death. If used wisely, a premium currency can let developers price wackier, more elaborate or unnecessary cosmetic items with these currencies while not disrupting the in-game economy too much. GTA Online’s lack of a premium currency is one of the reasons why things started getting more expensive. Everything players did earned them the only currency in the game, making it easy for players to grind, buy or exploit their way to high-end items. In theory a premium currency can be a way to have special items that players have to pay for while still having items that players can earn in-game for free. In Red Dead Online, gold-only items like horse insurance don’t seem like unnecessary cosmetics. They seem important to the game, and locking them behind hard-to-get gold bars feels like a poor way to implement a premium currency. Rockstar has stated on their website that gold bars will be used to unlock cosmetic items, like decorations for your camp. 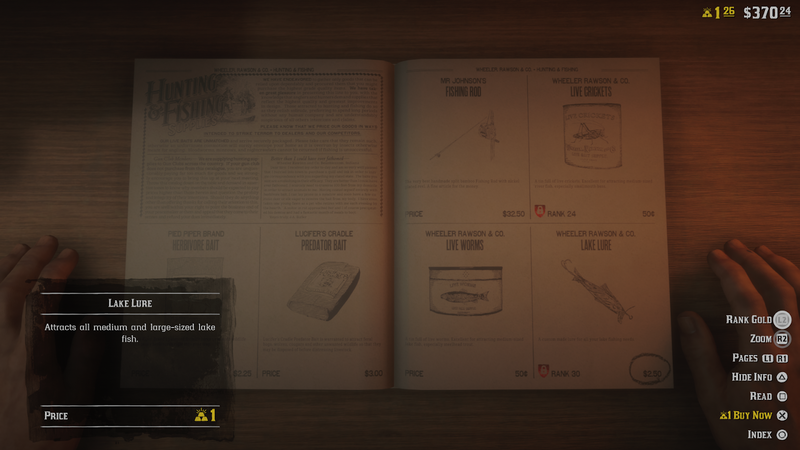 But in the current RDO beta there are items that can be bought with gold, like a fishing lure or some crafting pamphlets. These items aren’t going to break the competitive balance of a match or a mission, but they’re more than just cosmetics. None of the items you unlock early are powerful weapons or unfair armour, but having the functionality at all to unlock stuff early using gold in game is worrying. If not properly balanced, it could lead to a situation where players willing to fork over cash for gold could get an advantage over players unwilling to engage in microtransactions. Fans are concerned, sharing memes and posts about how Rockstar is using gold bars in Red Dead Online. The fear is this will unbalance the game and force free players to grind for days just to get the gold needed to buy some of these items. Money being hard to come by is even more of a problem given how many mundane activities require money. 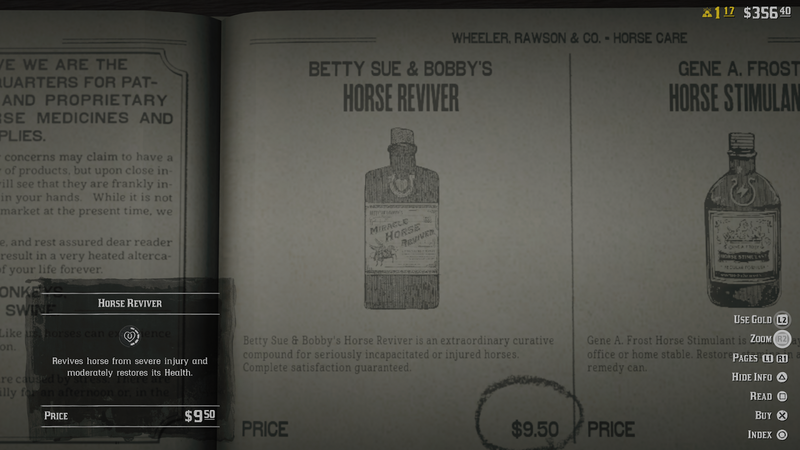 In RDO, you have to clean your weapons with gun oil, buy ammo, feed your horses, and pay a fee to have a camp. These tasks require purchasing things, and if you can’t afford them, you’ll be at a disadvantage, with a character whose health will be lower, a horse that can’t run as fast and guns that do less damage. This has some players feeling like they have to grind for petty cash just to survive. Of course this is a beta; things will certainly change. Once you complete the few story missions that are available right now, you really only have stranger missions to do, some deathmatch and racing variants, and some fishing and hunting. It is very possible that in the future Rockstar will add heists, bounty hunting, poker, and more. These activities and events could pay out better. They might even pay out gold, fixing the grind for gold issue. It also very possible that Rockstar will rebalance the economy, maybe lowering prices or making it a little easier to earn gold. Kotaku has contacted Rockstar and asked about future gold prices and the Red Dead Online economy, but has not heard back in time for publication. Right now, many Red Dead Online players feel like the game is a grind with not much to actually grind for. It’s a similar feeling many, including myself, had when GTA Online first launched. Veterans of that game will be familiar with grinding missions like Violent Duct over and over again for hours just so they could buy an apartment. GTA Online eventually added more ways to earn money, but for many fans it also became too expensive. Hopefully Red Dead Online can avoid that scenario.